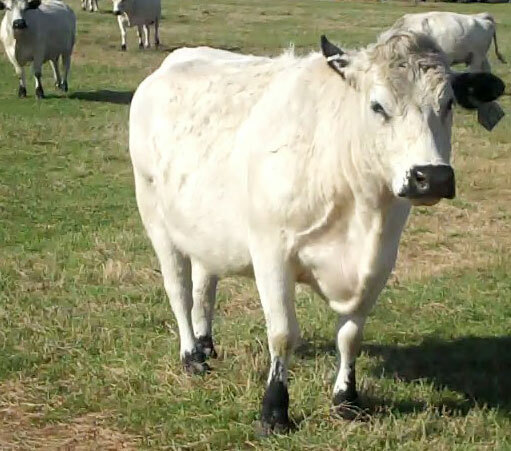 Jimmie's Blog - British White Cattle & More: Climate Change in Texas - Our Texas Cows Got the Message . . . 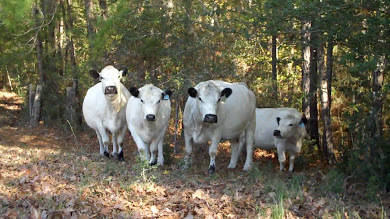 Climate Change in Texas - Our Texas Cows Got the Message . . .
. . . and the East Texas cattle population has formed an alliance to suppress belching and farting in the interests of protecting the Ozone -- apparently it worked. The weather in Texas is notorious for being unpredictable within most any season, and in this upper sliver of southeast Texas, tucked right in the northern edge of Tyler County -- this winter has surely been one to remember. I'd say the cows have done a pretty good job of holding back on those belches, maybe the constant hole digging in the soil by the bulls isn't 'soil degradation', but is actually a repository for herd belches. Yesterday evening the snow and sleet started about 5:30 PM, and it was pretty nasty outside. But within an hour it was just pretty flakes of snow falling. 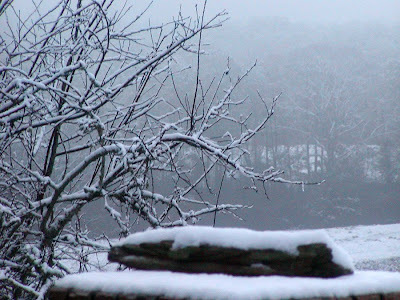 By 11:00 PM the pastures and the treetrops were covered in a white blanket of snow, and the flakes were still thick and softly falling. This morning the melt had already begun by the time I took a few pictures, but as we will be in the throes of man and cow caused Global Warming within a few short years, decades . . . who knows what the current time line theory is-- I certainly recorded what may be never ever seen again in these Pineywoods. 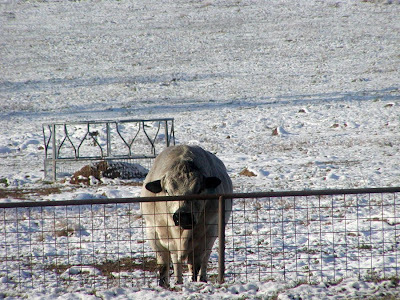 Last night's snow fall has been our third snow of the winter, and the same can be said for many other parts of Texas as well. 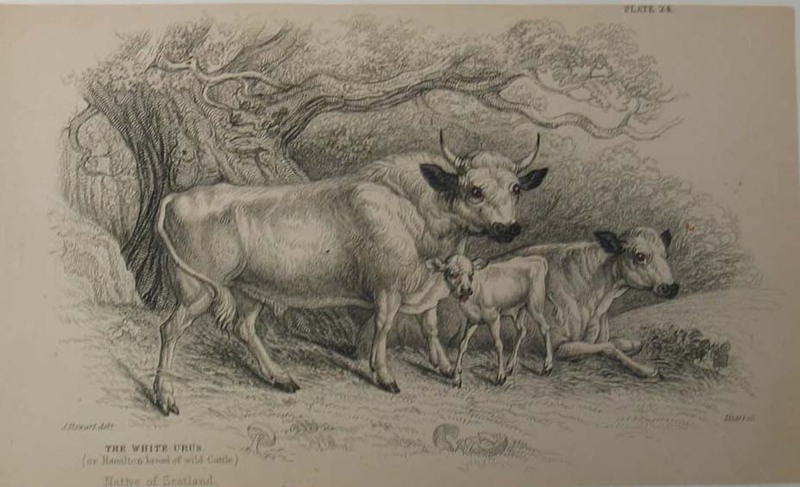 Yet Texas is the cow home of the largest population of cattle in the United States of America, over 13 million head of cattle. 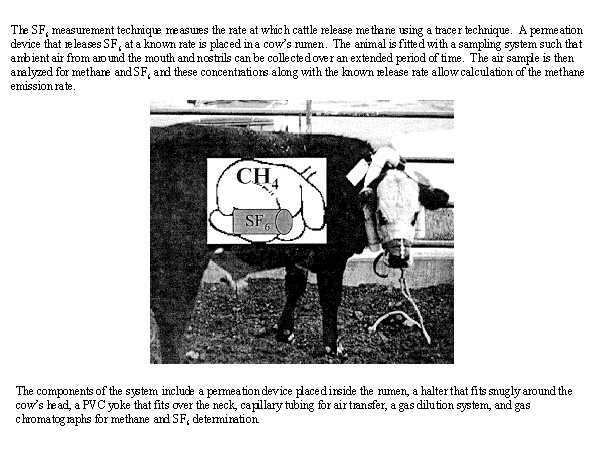 The atmosphere above the blue skies of the State of Texas must be surely choking on methane emissions from the belches of cows and from their manure. Is there a Texas sized hole lurking in the ozone above our great State? I haven't heard about one. And the air I breathe in my rural part of Texas is clean and fresh. The same can not be said about the City of Houston. If there's ever a time when I remember the fast driving fun of my youth, it's when I'm trying to get the heck out of Houston so I can breathe again and leave my constant Houston Headache behind -- and get back to my rural country air filled with the cow belches just as fast as I can. 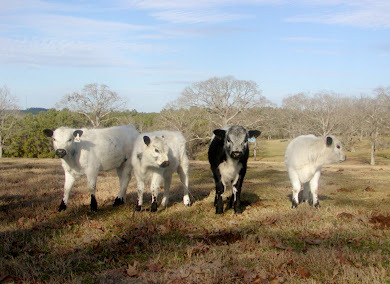 We are told that cattle are a greater contributor to Global Warming than the Transportation sector. A trip to Houston and back to home always shows what a Farce that notion is. This third snowfall as well shows what a farce that notion is. 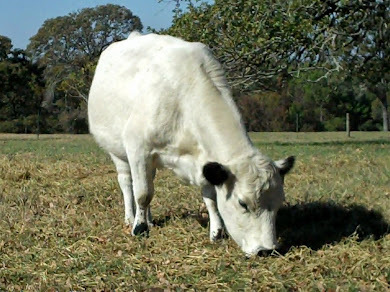 Texas farm and ranch land accounts for some 78% of the total land area in the State of Texas, or about 130 Million acres. 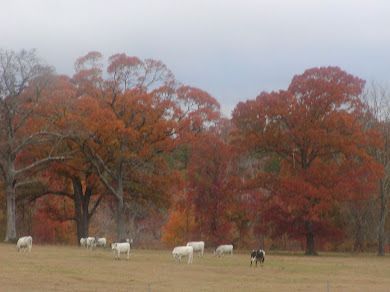 Eighty-three percent of that farm and ranch land is in the hands of small land owners having less than 499 acres, and a lot of cows roam that acreage. Per the Texas Dept. 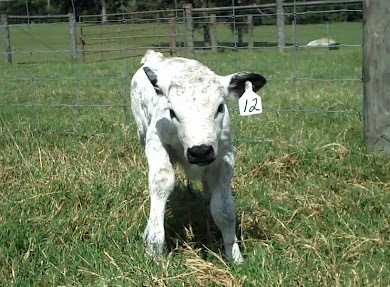 of Agriculture (2007), "Texas is the number one cattle producing state in the country, with an inventory of 13.8 million cattle and calves -- more than twice as many as the next largest producer." Shouldn't we Texans have hole in the ozone to worry about? Shouldn't we be in a sweat instead of a shiver? 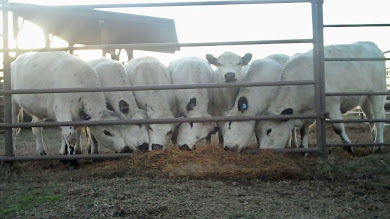 Or have our cows found a way to circumvent the goals of the EPA, the United Nations, and their great and all powerful leader -- the Intergovernmental Panel on Climate Change?